Last year I have bought 2 light boards at the radio flea market in Eksel. First I didn’t have a direct use for them, but then I saw a led spectrum analyzer for audio on YouTube, and I decided that this is what I’m going to make with my led boards. 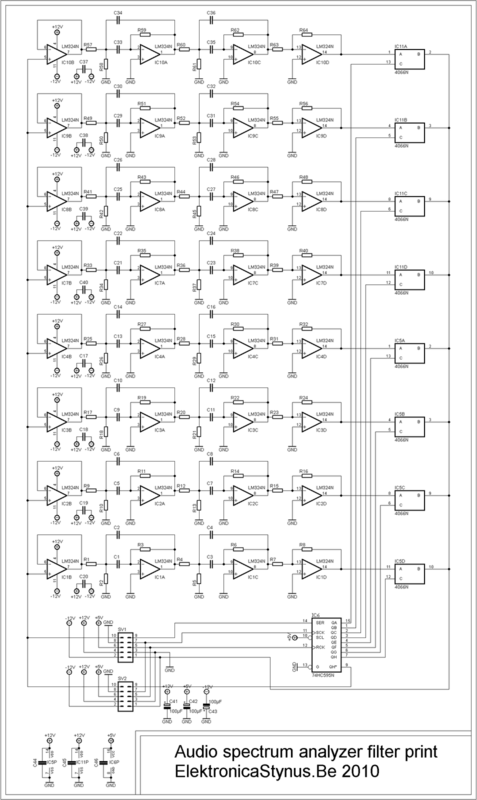 -A FFT (fast Fourier transformation) in a microcontroller and output the result on the matrix. -Build a filter for each frequency and connect them to a AD converter and scan those values over the display. I chose to use the second way, because I didn’t feel like doing math for my hobby. 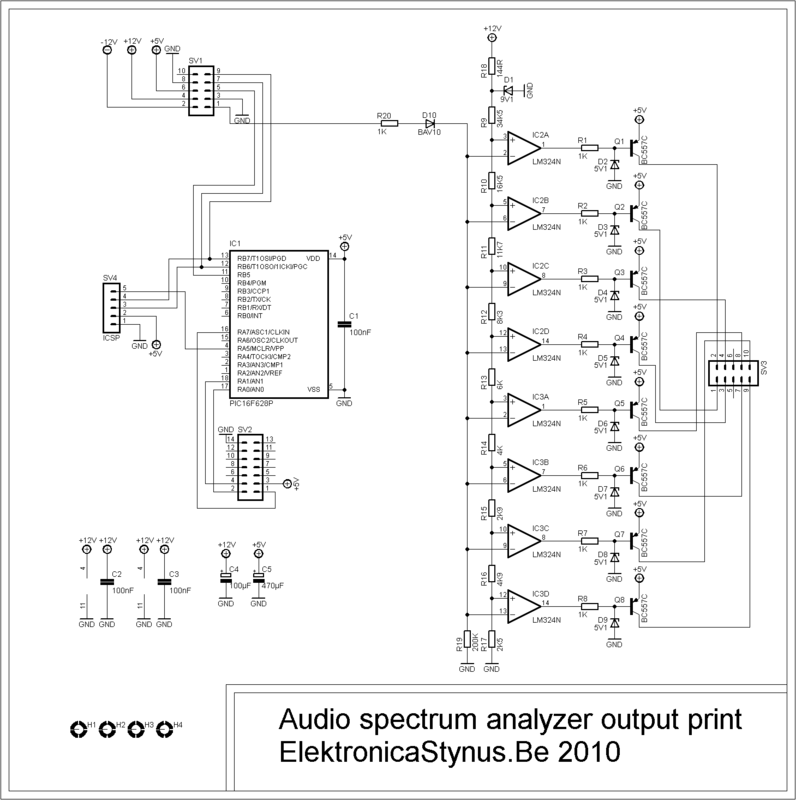 The analog filters are based on active bandpass filters with 4 poles. I found a script to calculate these: Link. 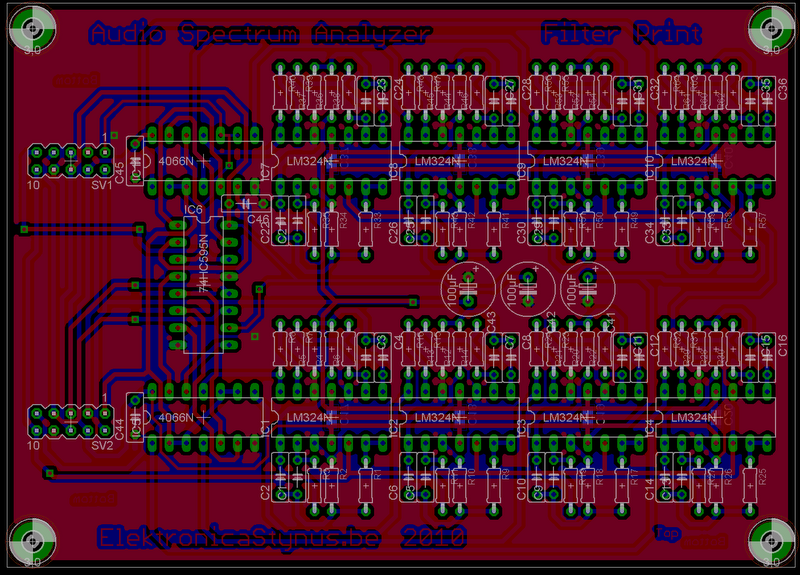 I have designed a pcb with 8 filters on it. I need 3 of those pcb’s per side, so I get 24 channels. 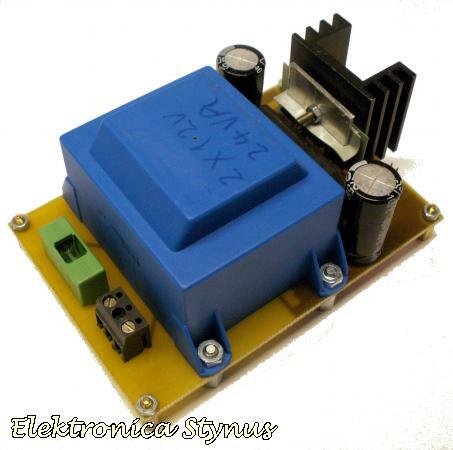 The AD converter is build with 8 opamps. The scanning of the displays happens with an PIC16F628A. This pic will drive 2 sets of shift registers. The first group is connected to the columns of the displays. The other will switch the analog voltages to the AD converter. This happens with 4066 ic’s. 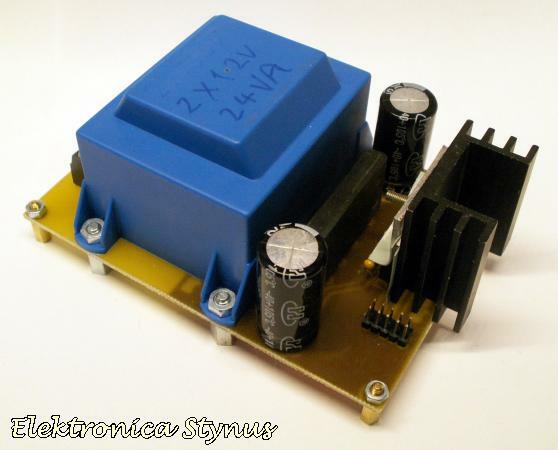 The complete circuit will be powered by an 2*12V 24VA transformer. This is also mounted on a separate pcb. 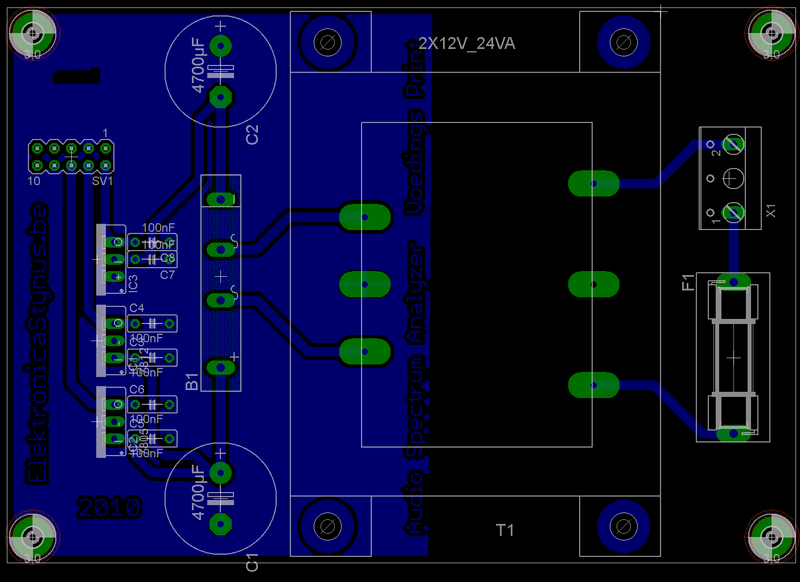 The power supply pcb and the input amplifier are finished already. Hi, Stynus! My name is Marcos and I am from Brazil. This is a very interesting project. Did you finished him or have any updates? Can you share the schematics. Best regards!!! No, there are no updates yet. This project is on hold for the moment.